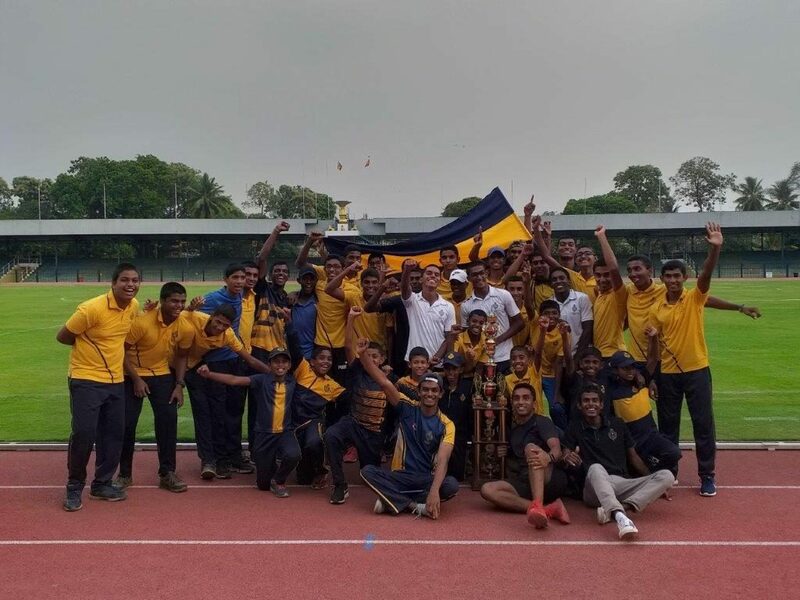 Having had an excellent season last year and starting this year with some outstanding performances in both the track and field events at the Borella Division Meet, the athletes of Royal College emerged Champions at the Division Meet, held at the Sugathadasa Stadium on 12th and 13th of March, with 204 points. 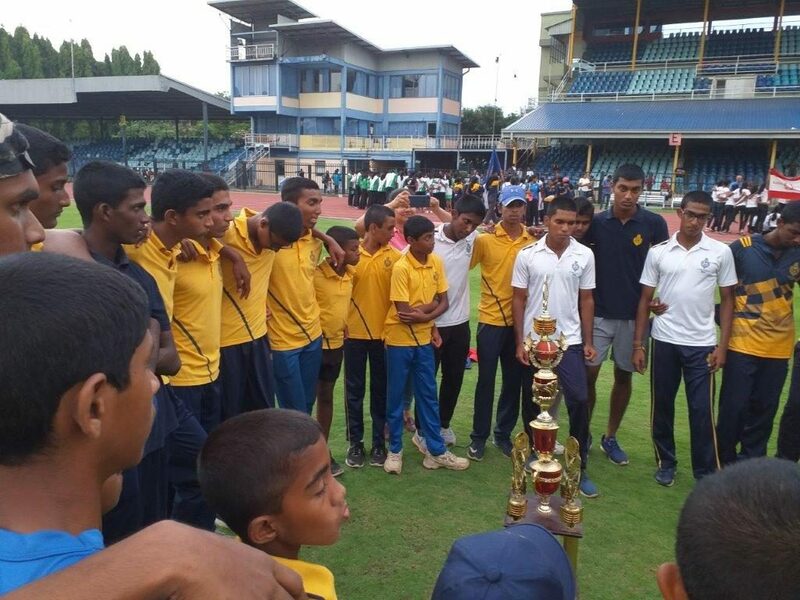 Ananda and D S Senanayake Colleges tied for the 2nd place, with 96 points each. 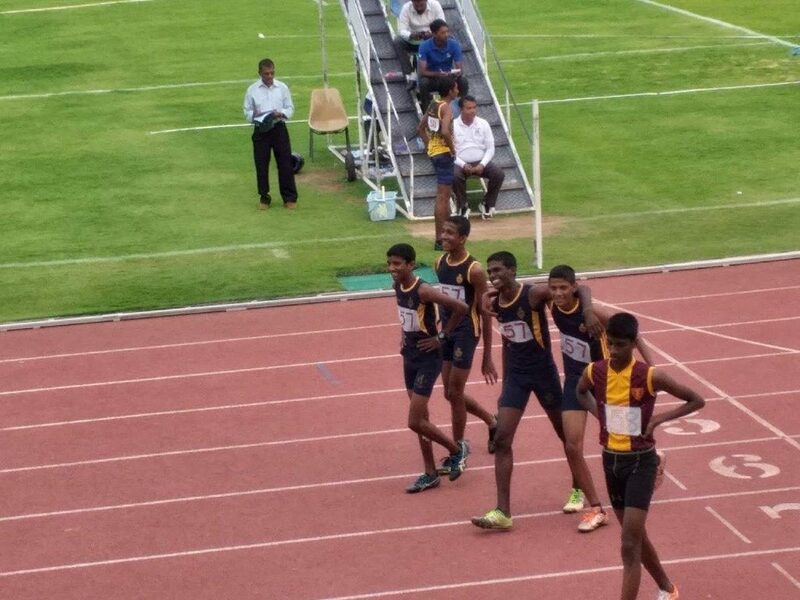 Significance of this victory was the winning margin, exceeding 100 points! Positions secured as shown below,reflect this great achievement. 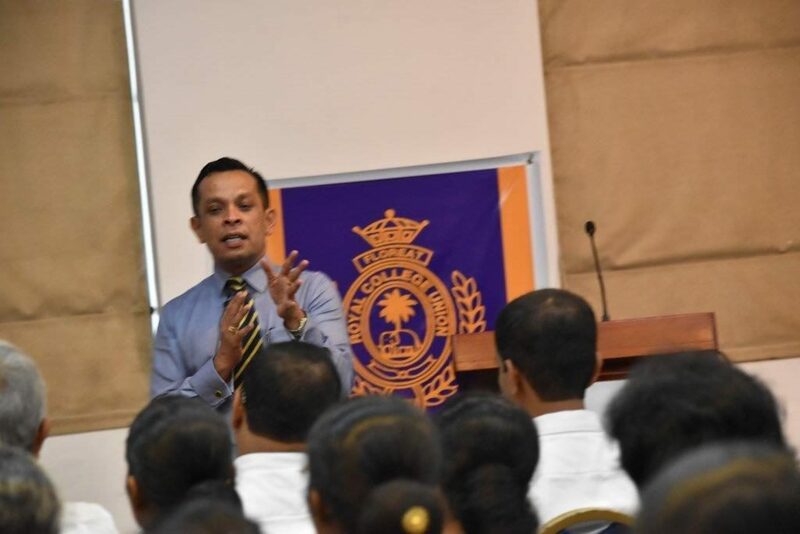 This four day workshop was organized for the new teachers, who joined the College on or after 01st January 2016, by the Old Royalists’ HR Professionals’ Association (ORHRPA), in collaboration with the Royal College Union. There has been 159 new additions to the College during the past two and half year period which is over 40% of its total teacher population. 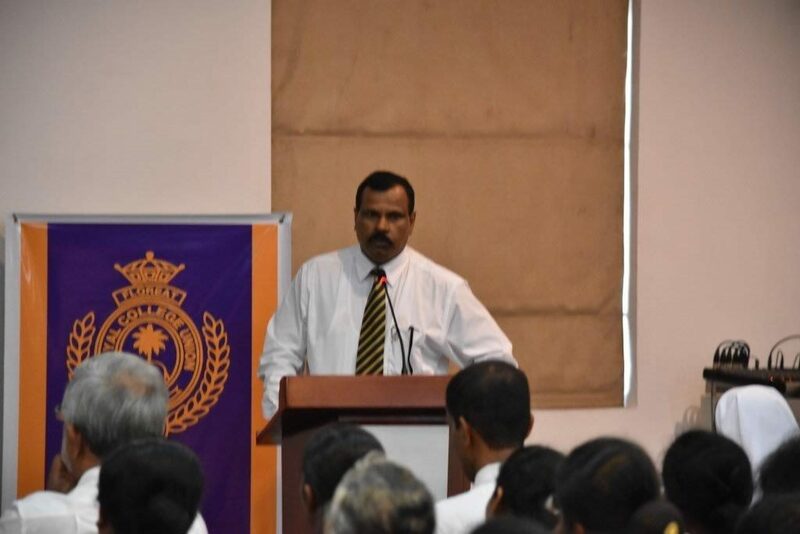 The main objective of this session was to unleash the potential of the new teachers and to inculcate the Culture, Values and Traditions of the College in them, for a better delivery and to be better projected amongst the Royal fraternity. 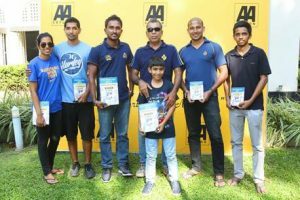 The main objective of this event was to promote sports, amongst children in the junior grades especially promote swimming . Throughout the Carnival, there were ample opportunities for the youngsters to take part in some kind of an aquatic game, even for those who are unable to swim at all.. As swimming is mostly considered an individual game, these activities were included also in order to promote the team spirit amongst the children. This was a magnificent event with a participation of approximately 69% of the total student population in the Primary Section. 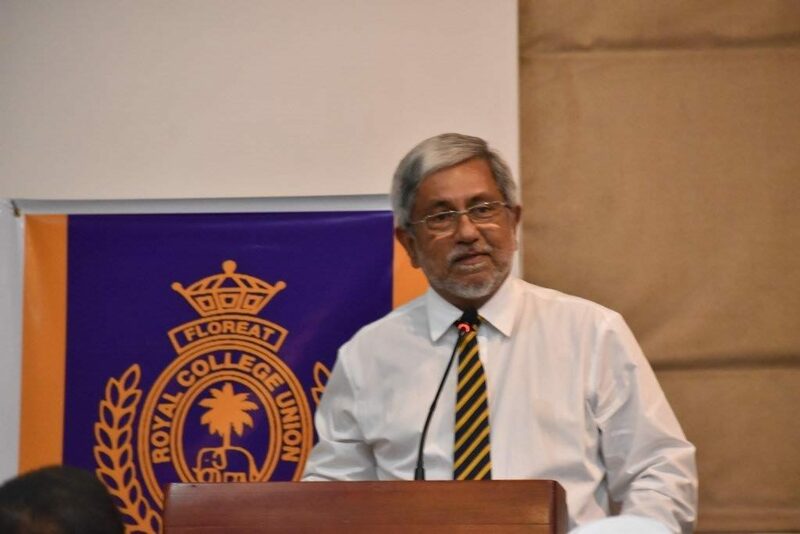 As this was held for the first time in the history of Royal College with no any benchmarks to follow, the process facilitation had to be done by the Old Royalists’ HR Professionals’ Association (ORHRPA) on a request of the College Authorities. “This would be just a start of a long journey for swimming at Royal College. 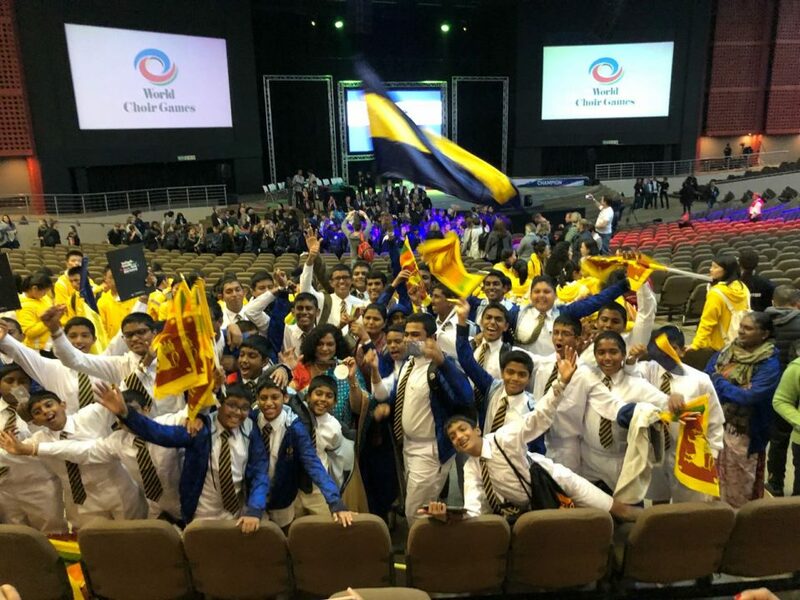 A well-structured approach resulted in this remarkable success with the support of the College senior leadership team and the parent groups, appointed with varying responsibilities, as the organizing committee” stated Prabhash Hettiarachchi, President – ORHRPA. 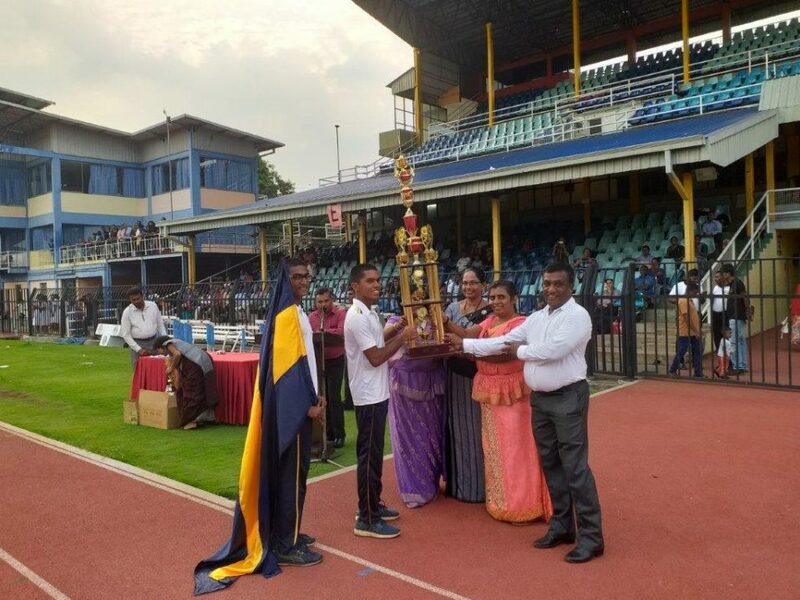 Furthermore, he appreciated the leadership support given by the senior leadership of the College, Secretary of the RCU, Mrs. Subhodha Samarasinghe, Teacher-in-charge of Swimming of the Primary Section and Mr. Nishantha de Costa, the Head Coach and his team. 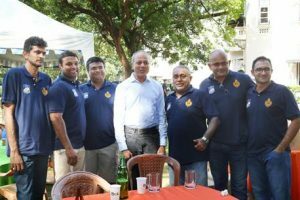 A separate solemn award ceremony was held in the presence of Director of Sports in the Ministry of Education, Col. Manjula Kariyawasam as the Chief Guest and Admiral Thisara Samarasinghe former Navy Commander & High Commissioner to Australia as the Guest of Honour at Navarangahala, on 31st May 2018. Notice is hereby given that a Special General Meeting of the Royal College Union (RCU) will be held on Saturday, 21st July 2018 at 4:30 p.m. at the Royal College Main Hall. The Agenda will be to present the proposed amendments to the constitution. Entry to the meeting will be on production of the Royal College Union Membership Card and National Identity Card, except in the case of new members whose Membership Cards have not been issued. They should produce the original payment receipt for membership issued by the Union with the National Identity Card. The Dress Code for the Meeting is Office attire with College Tie. Notice is hereby given that the Annual General Meeting of the Royal College Union (RCU) will be held on Saturday, 21st July 2018 at 4:45 p.m. at the Royal College Main Hall. The Agenda and the nomination forms for Age Groups will be available from 20th June 2018 for members to download and print from the RCU website. (Please visit www.rcu.lk/downloads/). Nominations for age Groups should be submitted in hardcopy, to reach the undersigned on or before 12:00 noon on 11th July 2018 at the RCU office. Minutes, reports and accounts will be made available to members at the Royal College Union office from 06th July 2018. Voting for the Age Group representatives will commence at 1:00 p.m. and conclude at 4:00 p.m. on 21st July 2018. Polling Cards will not be issued after 3:45 p.m.
Members seeking election to statutory bodies of the Council, who are unable to be present at the Annual General Meeting should intimate to the undersigned in writing their willingness to serve in such bodies in the event they are elected. Such intimations should reach the undersigned by 16th July 2018. Any resolutions to be tabled at the Annual General Meeting should also be received by the undersigned in writing, at the Royal College Union office not later than 01st July 2018. Entry to the meeting and eligibility to vote will be on production of the Royal College Union Membership Card and National Identity Card, except in the case of new members whose Membership Cards have not been issued. They should produce the original payment receipt for membership issued by the Union with the National Identity Card. 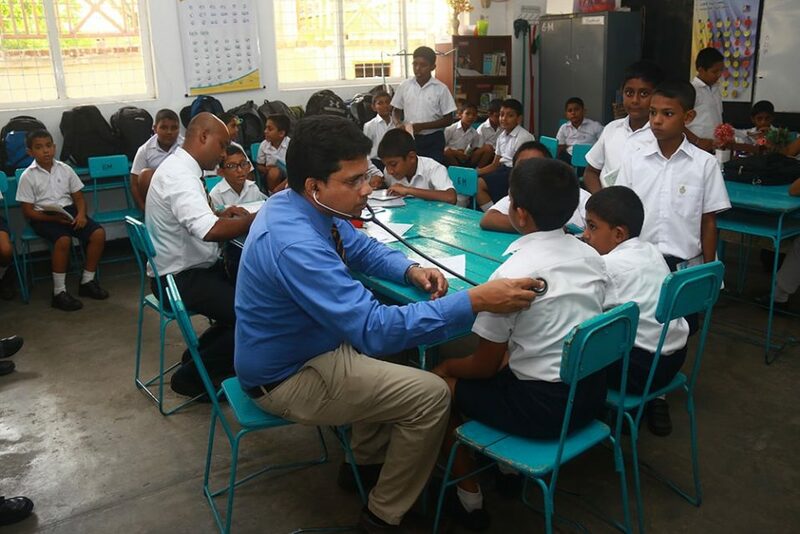 The annual medical screening programme for the students of grade 6 was conducted for the 16th consecutive year, on the 8th of May 2018, from 7.30 am to 10.30 am at the grade 6 building premises. This programme was organized by the Royal College Doctors Association (RCDA) in collaboration with Loyalty Pledge(LP). Principal, deputy principals, vice principals, senior games master of Royal College and assistant secretary of the RCU graced the occasion. 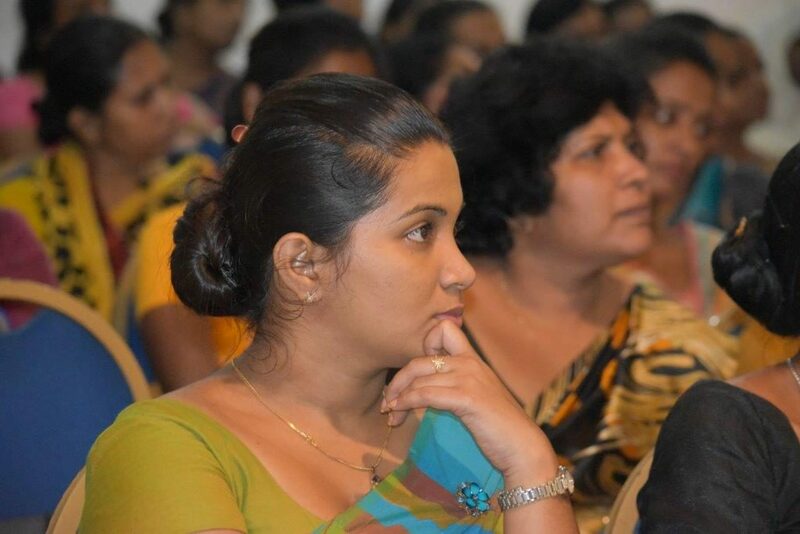 Dr Sandacan Waduge and Dr Nayanajith Komasaru were the chief organizers of the event and Miss Sharlene de Chickera was the coordinator of Loyalty Pledge. 15 RCDA members were assigned as coordinators for each class. 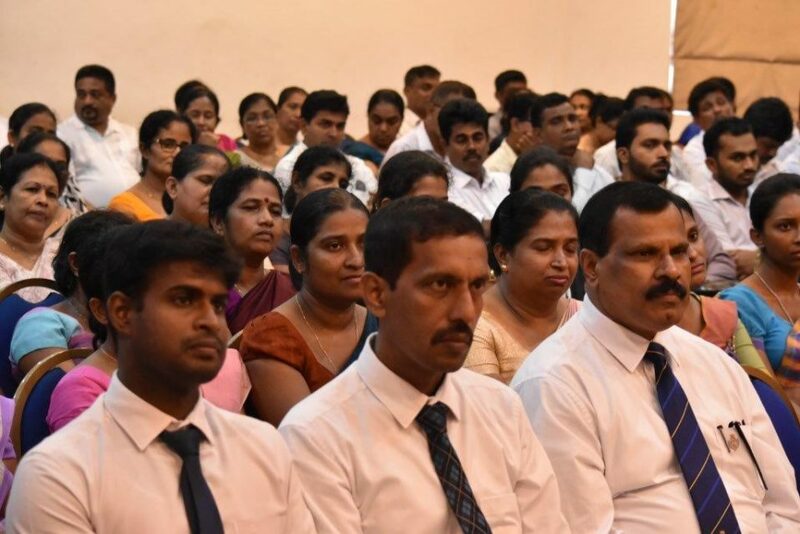 The programme was conducted with the participation of 60 doctors including Dr Ajith Tennakoon (President-RCDA), senior office bearers of the Loyalty Pledge including Mr Abhaya Amaradasa (Chairman-LP) and Edex and 45 prefects/stewards. Of the 698 students of grade 6, 654 students participated in the screening program that featured symptoms analysis, BMI (body mass index) assessment, hearing and vision checks and general medical examinations. 305 students were identified as having medical problems and of these students 42 had multiple problems. The following is a summary of the medical problems identified. 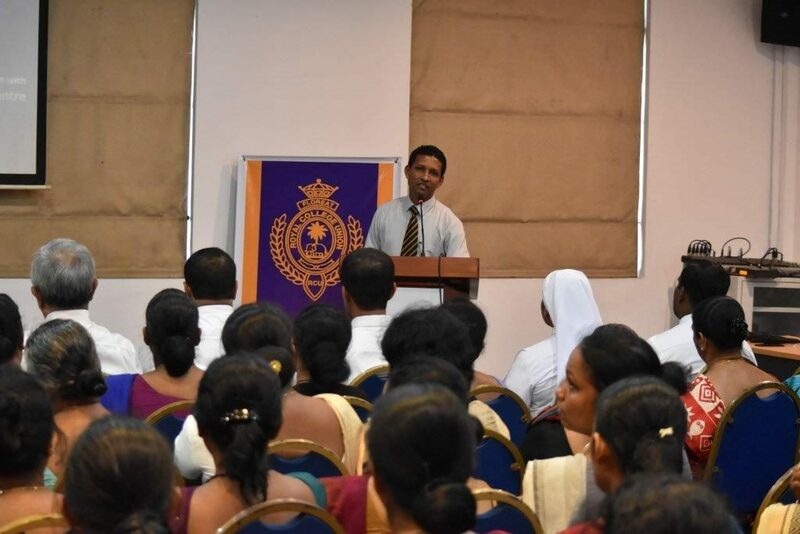 All eye referrals were taken over by Dr Hiranya Abeysekera (Consultant Paediatric Eye Surgeon) and all nutritional referrals were taken over by Dr SBT Weerasekara and Dr Ahmad Rushdie (medical nutritionists). Dr Lakmal Kulasekara, Dr Sandaruwan Rajapaksha and Dr Nilanga Peiris arranged follow up for all dental cases. The remaining children with medical issues were referred to relevant specialists of the Lady Ridgeway Hospital, Borella. The screening programme will be followed up by onsite nutritional and ophthalmological interventional programmes and long-term monitoring. The organizers would like to convey their sincere gratitude to all RCDA members for their professional assistance, to Loyalty Pledge for funding and guiding the programme, to the Master in charge of prefects and all prefects and stewards for timely participation, to the grade head and all teaching staff of grade 6 for their cooperation and to all the students for their participation. 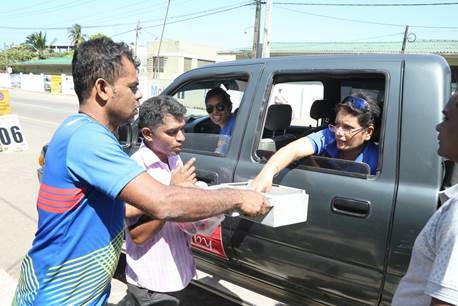 The 2018 edition of the Royal Shuttle Service, successfully concluded its ‘three-day journey’ for the second consecutive year, with a record number of travelers using the service. 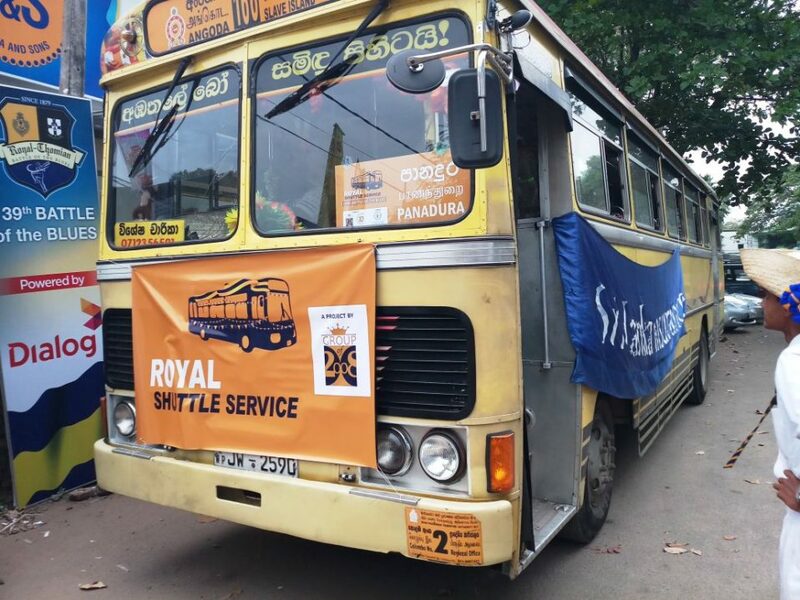 The Royal Shuttle Service offered a FREE & EXCLUSIVE transport service to the students and the teachers of Royal College Boys Tent at the 139th Battle of the Blues, covering three routes; SSC to Panadura (along the Galle Road), SSC to Kadawatha (along Baseline & Kandy Roads) & SSC to Homagama (along the High Level Road). 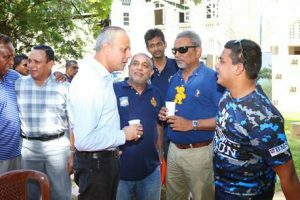 The Royal Shuttle Service was deployed along the aforesaid routes, after the day’s play on the 9th, 10th and 11th March, assuring a safe journey home, to almost 400 students and teachers of the College. 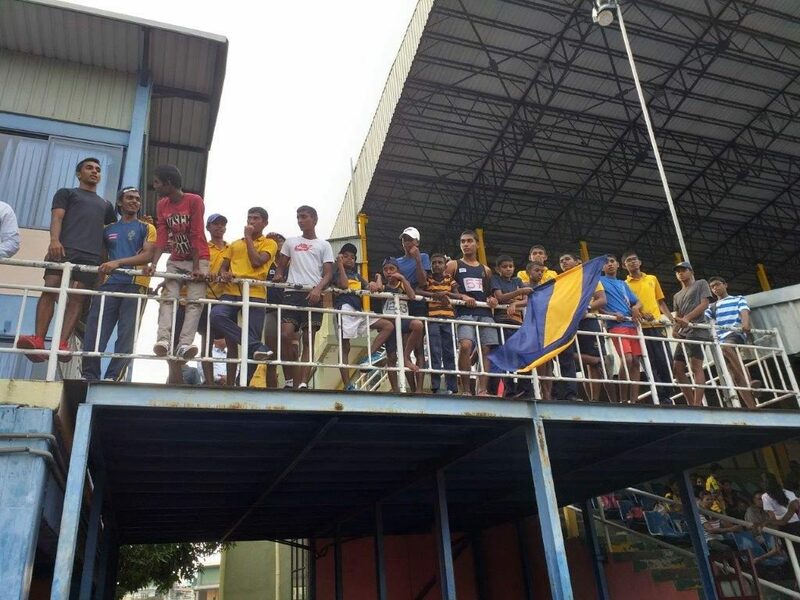 In addition, a group of approximately 50 students of St Thomas’ College Boys Tent also used the Royal Shuttle Service to reach home after the day’s play. This was a key highlight of the project in 2018 and a true occasion of keeping up with the real Roy-Tho spirit. This exclusive service is a proud project of the Royal College Group of 2008, which is celebrating its 10th anniversary, this year. The Royal College Union Skills Centre Auditorium was the venue for the 15th Loyalty Pledge Scholarship Awards ceremony, on 30th June 2017, to award 200 scholarships. Donors, who were past Royalists and non-Royalists as well, were pinned Purple Orchids on their shirt lapels. Parents who had travelled from afar sat in the hall anticipating the event, and the students and undergraduates, proud recipients of the awards, crowded the ceremony, symbolic of transformation, progress and a journey of incessant love. The 15th Anniversary of the Loyalty Pledge Ceremony also epitomised the vision of its founders, to empower young Royalists to become high achievers at Royal College, with a plan to succeed in the future, in a chosen career. The event was presided over by the patron of Royal College Union (RCU), the Principal of Royal College, Mr. B.A. Abeyrathne. The selected recipients received their accolades from the Principal of Royal College, Vice-Principals, Past Royalists and Committee Members of Loyalty Pledge, at the ceremony. Donors who had generously given, took time off to attend the ceremony. 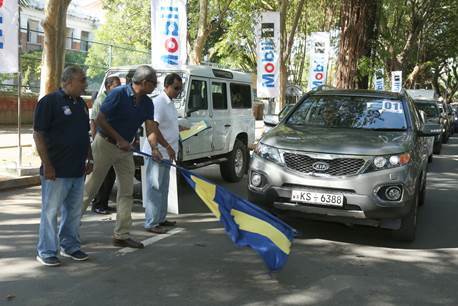 Non-Royalist well-wishers sent messages while foreign donors expressed positive sentiments about the programme. ‘Re-paying the debt’ to one’s beloved alma mater had influenced others to give as well, permeating to the society at large. This year, 185 school students and 12 undergraduates who were short-listed for the awards ceremony were privileged to be part of the ceremony. 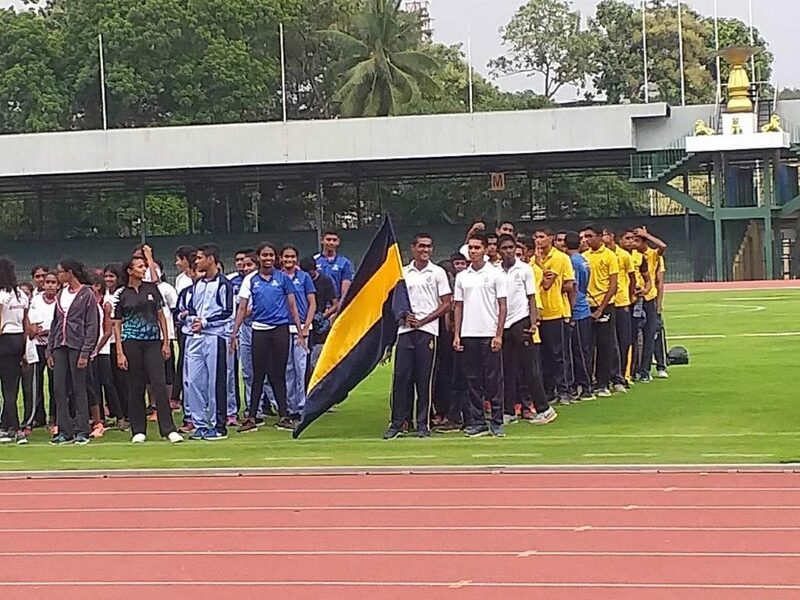 The Loyalty Pledge Committee had spent weeks on assessing the details of the students to ensure that the benchmarks of 60 marks and participation in a sport and society were met. The 12 undergraduates that were present were also selected on merit and economic need. 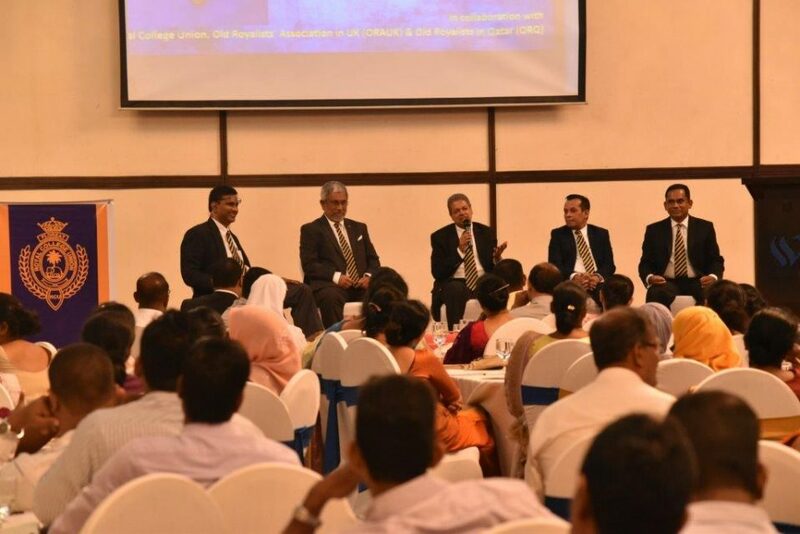 The recipients were exposed to the experience, insights and wisdom of their senior Royalists on this special day.